I'm looking for an API that provides common aliases for famous people. 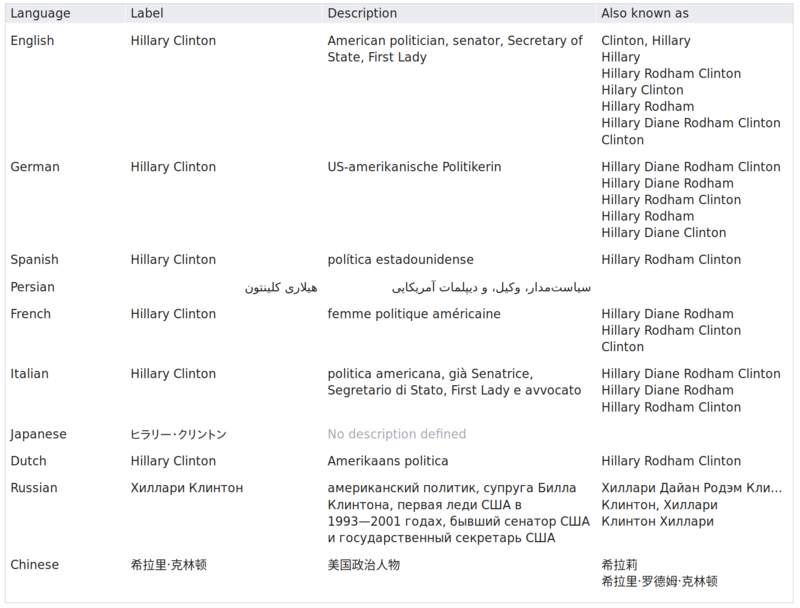 For instance, "Hillary Clinton" would be associated with common appellations like "Hillary Rodham Clinton". Wikidata provides such an API. The last column is what interests you. You can get the information by calling a REST URL (with any programming language) and you get the result as JSON or TSV or other formats. Not the answer you're looking for? Browse other questions tagged api search linked-data or ask your own question.